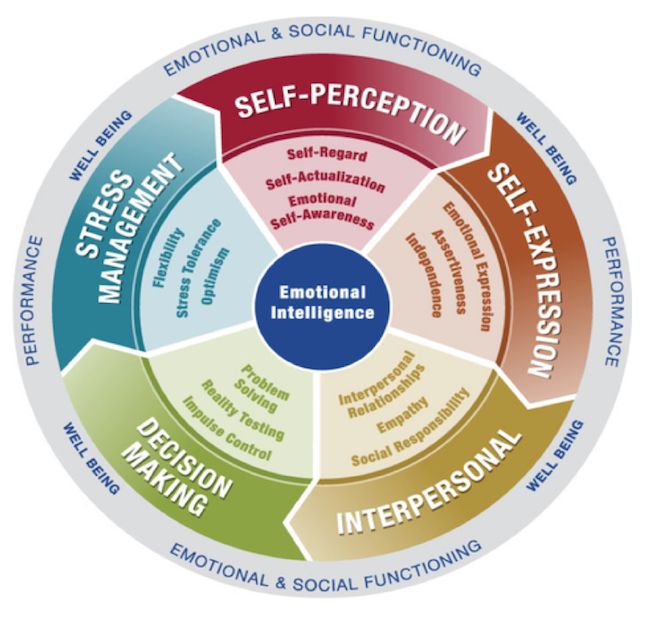 Miriam Henke Consulting - Emotional Intelligence: A greater predictor of life success? Emotional Intelligence: A greater predictor of life success? Posted October 1, 2017 by Miriam Henke & filed under Uncategorized. When psychologists began to write and think about intelligence, they focused on cognitive aspects, such as memory and problem-solving. The Intelligence Quotient (IQ) had been considered the best measure for success in life, however over the last 30 years there has been a shift in thinking based on a plethora of research which has found that perhaps IQ isn’t all it’s cracked up to be. An example of this research on the limits of IQ as a predictor is the Sommerville study, a 40 year longitudinal investigation of 450 boys who grew up in Sommerville, Massachusetts. Two-thirds of the boys were from welfare families, and one-third had IQ’s below 90. However, IQ had little relation to how well they did at work or in the rest of their lives. What made the biggest difference was childhood abilities such as being able to handle frustration, control emotions, and get along with other people (Snarey & Vaillant, 1985). Researchers who recognised early on that the non-cognitive aspects of intelligence were also important began quantifying what provided the greatest predictor of success. The concept of Emotional Intelligence was first introduced by Daniel Coleman in his 1995 book. Goleman was a Harvard-trained psychologist and science writer for the New York Times, whose specialty was brain and behavior research. Emotional Intelligence (EQ or EI) is essentially the ability to recognise, manage, and use your emotions in positive and constructive ways. It’s also about recognising the emotional states of others and engaging them in ways that feel good to all and create mutual safety, trust, and confidence. The construct of EQ refers to the individual differences in the perception, processing, regulation, and utilisation of emotional information. As these differences have been shown to have a significant impact on important life outcomes (e.g., mental and physical health, work performance and social relationships), this is an area worth paying attention to and improving where possible. Individuals with a high EQ are able to quickly and dependably bring stress levels into balance, can remain emotionally aware and harness emotions. They are also able to effectively send and receive nonverbal cues, engage in joyous, playful activity with others, and resolve conflict in ways that build trust. 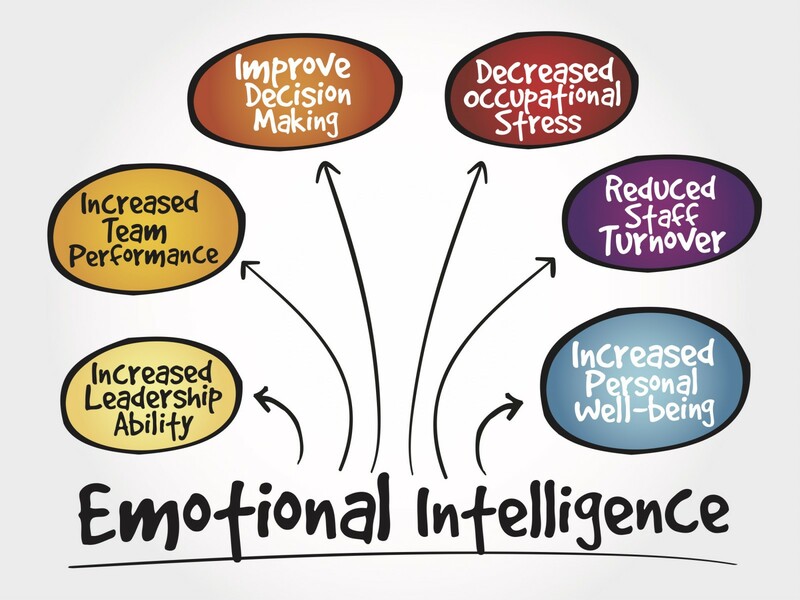 Emotional Intelligence has been shown to be linked to success life, as it facilitates improved, authentic relationship within and with others – our boss, colleagues, team members, clients, suppliers, family and friends. Absolutely. There are many training programs available today that are giving individuals the opportunity to increase their emotional intelligence and enjoy the benefits. In a study by Nelis et al. (2009), study participants were divided into two groups. One group received an EI training of four group sessions of 2-1/2 hours each. The other group did not receive any training. After the treatment was completed, the training group showed a significant increase in emotion identification and emotion management compared to the control group. Six months later, the training group still had the same improvement on emotion identification and emotion management. The control group showed no change. Become aware and mindful of how you are feeling in the moment. Notice when your feelings and mood change – say if you find yourself getting upset or excited. Ask yourself why this might be the case. Go deeper than you’re initial thoughts (e.g. it being someone or something’s fault) until you find the what’s within your control to change. Evaluate your outcomes – with the feedback you received, and the action you’ve taken, evaluate how you went and if further adjustment is required. This may lead to further action. Nelis, et al. (2009). 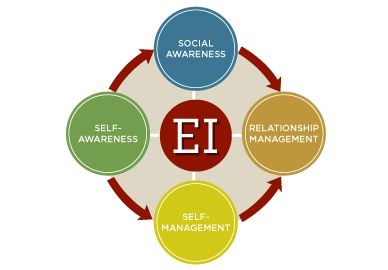 Increasing emotional intelligence: (How) is it possible? Personality and Individual Differences 47(1):36-41. Miao, C., Humphrey, R. H., & Qian, S. (2017). Are the emotionally intelligent good citizens or counterproductive? A meta-analysis of emotional intelligence and its relationships with organizational citizenship behavior and counterproductive work behavior. Personality and Individual Differences, 116, 144-156. O’Boyle, E. H., Jr., R. H. Humphrey, et al. (2011). The relation between emotional intelligence and job performance: A meta-analysis. Journal of Organizational Behavior,32(5), 788-818. Snarey, J. R., & Vaillant, G. E. (1985). How lower- and working-class youth become middle- class adults: The association between ego defense mechanisms and upward social mobility. Child Development, 56(4), 899-910. Can we make time slow down? Read the article in which Miriam has provided expert commentary on this topic here.